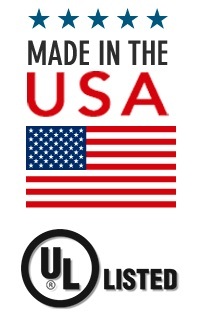 CM Furnaces manufactures are high temperature furnaces made in the USA starting at 1000°C to 1800°C in both laboratory and production designs. 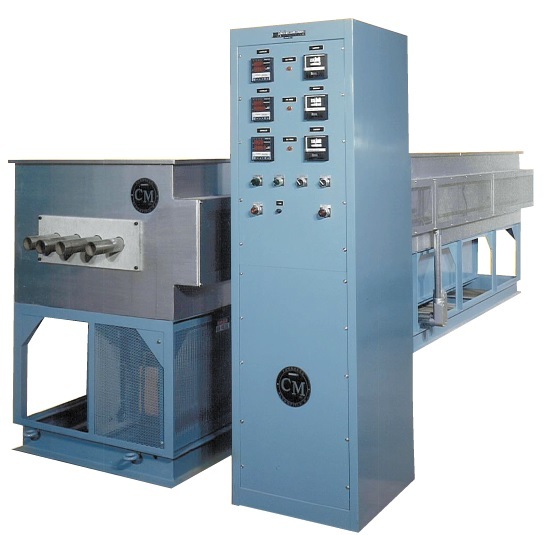 Rapid Temp Laboratory Furnaces can be used for research or low production applications. These furnaces are in universities, national labs and other R&D locations. Production furnaces can be pusher or belt driven. Designs can be manual or automatic for automatic processing. The Rapid Temp Furnaces can be used with inert, atmosphere or hydrogen atmospheres. Box Furnaces from 4” cube to 16” designs. Tube Furnaces in horizontal or vertical designs with temperatures from 1000°C to 1800°C . Types of furnaces include box, gas sealed, and tube furnaces. Tube furnaces can be atmospheric or under vacuum. CM Furnaces manufacture production pusher or belt furnaces in inert and reducing atmospheres. Typical configurations include preheat sections, cooling sections and various optional features offered for specific applications. Temperatures from 1000°C to 1800°C. High Temperature Strand Annealers LTSA 1000°C (1850°F), SA 1200°C (2200°F) and HTSA 1700°C (3100°F). Number of process tubes up to 20 with atmospheres air, nitrogen, argon, hydrogen or dissociated ammonia. Various heated lengths with single or multiple zone control are available, as well as cooling sections and optional features for specific applications.